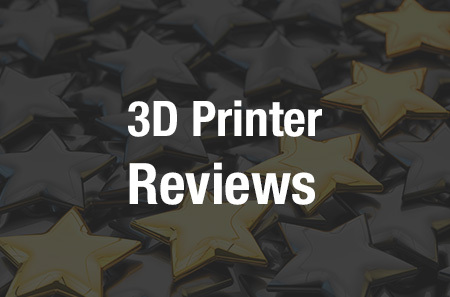 In this week’s 3D printing news, we have stories about 3D printable icons, like Batman and Elvis, and a chance to win a MakerBot Replicator 2 just for buying tickets to the new film Terminator: Genisys through Fandango. The aerospace industry is getting a major 3D printing boost from Boeing’s ecoDemonstrator 757 airplane project, and the UK’s Business Minister recently announced a multi-million dollar competition to create cutting edge new additive manufacturing designs for the aerospace industry. MyMiniFactory is also sponsoring a design competition using MeshMixer, and 3D Hubs and Proto-pasta have joined forces to offer new filament workshops in three cities. Finally, a dedicated animal rights activist has made it easy to make a statement against meat products in the grocery store aisle. His design is a mini 3D printed headstone that can be placed on individual meat packets in your grocery store meat section! An animal rights activist is using 3D printing to warn consumers that they are about to buy an ethically questionable product. Aldric Négrier has made available an Instructable about how to 3D print mini headstone symbols that can placed at one of the source of the meat industry’s profits: where consumers purchase meat in your local grocery store. This strategy reminds me of activist stickers that can be placed almost anywhere, stating the activism cause. But stickers don’t quite pack the same punch as a mini-gravestone, do they? Négrier intends these markers to spur discussion and debate. Another cause that’s near and dear to people’s hearts is the idea that Elvis Presley is not dead: Elvis Lives! And a new partnership between Authentic Brands Group (ABG) and Staramba, a new company using photogrammetric 3D scanning for 3D printing merchandising, is bringing Elvis back from the dead with plans to use the latest scanning technology to create a “3D printed clone” of Elvis! This deal also allows for more figurines and merchandise related to many more global superstars represented by ABG, such as Marilyn Monroe and Muhammad Ali. They also plan to create 3D printed selfie figurines with your favorite celebrities: think, Me and Elvis, or Me and Marilyn Monroe and you’re on the right track. While some prefer celebrity icon figurines, others prefer superheroes. For Batman figurines, look no further, now that Launzer is making available the first official 3D printed Batman figurines. Launzer is the first company to get official licensing for this iconic DC Comics superhero, and these figurines are available in sandstone, stainless steel, or white nylon and they are all printed by Launzer’s partner, iMaterialise. The deal Launzer made with Warner Bros. and DC Comics means that many more iconic figurines are in the works, including Joker figurines, of course! Terminator: Genisys opens on July 1, 2015, and Fandango is giving away some 3D printers to generate excitement about the latest film in the Terminator series. If you buy tickets to the film on Fandango before July 13, you will automatically be enrolled in the Terminator: Genisys 3D Printer Sweepstakes for a chance to win one of three MakerBot Replicator 2 3D printers, each complete with 3-year MakerCare Protection Plan and a Filament Starter Kit. This is almost a natural affinity, as many fans of the Terminator series also happen to be fans of 3D printing technology. If you are planning on seeing the movie anyway, you may as well get your tickets online: who knows? You could also be a lucky winner of a Replicator 2 3D printer! Check out the full rules here. RS Components has the right idea that as 3D printing becomes more popular, people will be seeking out the support services that best facilitate their own 3D printing projects. Furthermore, RS Components understands that this commitment to software also opens more avenues to the hardware the company sells too, from MakerBot, bq, BeeVeryCreative,3D Systems, RepRapPro, and Ultimaker. 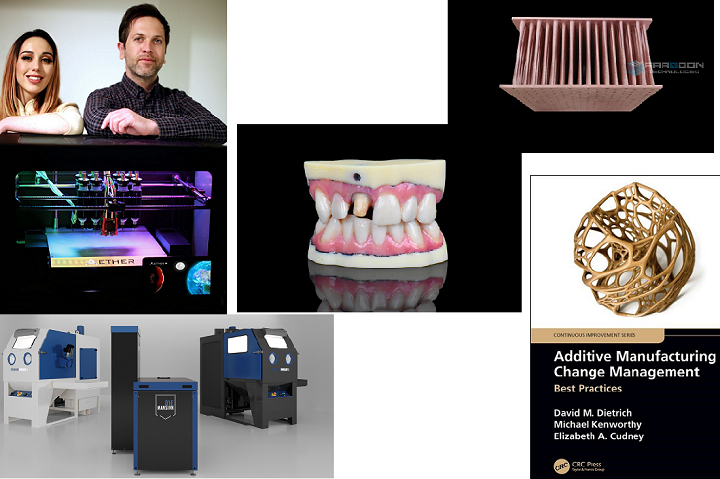 Engineers, design engineers, prototyping experts, and education professionals are among those most engaged with 3D printing needs, and RS Components aims to reach them and keep them as fulfilled customers through programs like Design Spark, the company’s new online platform. It’s no surprise that more 3D printing/additive manufacturing is being used in the aerospace industry. Customization, cost, and material variety all make this technology very attractive to airplane engineers and manufacturers, and Boeing has followed suit with 3D printed parts for their new more environmentally friendly 757. Boeing has decided to use material from excess carbon fiber from its 787 production to install a 3D printed aisle stand. The Boeing 757 ecoDemonstrator aims to be a model for aviation-focused ecological technologies, and so this re-purposing of a high-value material that reduces airplane weight and factory waste is compatible with the overall project of making planes and the aviation industry more green. In more 3D printing aerospace news,UK Business Minister Anna Soubry has announced a £10M competition to create “game-changing” aerospace technologies to keep the UK at the forefront of this new technology. The announcement was made during a visit to Coventry’s Manufacturing Technology Centre, where a £60m Aerospace Research Centre and National Centre for Net Shape and Additive Manufacturing was recently opened. The new center allows big and small companies both to develop new materials and processes (such as lightweight carbon fiber as discussed in above for Boeing) for aerospace use. A 3D printing center also supports research on new products for engines and accessories: landing gear, interior elements and even other industrial applications (such as automotive and medical) can benefit from this research commitment on the UK’s part. In a much less lucrative competition than that sponsored by the UK for the aerospace industry, MyMiniFactory wants you to put MeshMixer to use designing some mixed up models. Autodesk’s free MeshMixer software allows designers to intuitively and simply mix models together.Your creations must fit a build size of 18 x 18 x 18 cm, and that should be accompanied by complete building instructions with each design. Check out MyMiniFactory’s library for inspiration, and remember, they “specifically encourage you to MeshMixUp the antique with the modern – but the sky is the limit!” The person with the most downloads by July 22, 2015 will win an Einstart-S 3D printer from contest sponsor Shining 3D. Finally, in filament news, 3D Hubs and 3DPrintingIndustry have joined forces with Proto-pasta to explore stainless steel and carbon fiber filaments in workshops hosted in New York, Boston, and Amsterdam. The workshops cost $15 each (with 30 participants max), and include 150g of filament, drinks and snacks, and of course, information of best filament printing practices and post-processing tips. Let us know which of these stories catches your attention in the Stories We Missed forum thread over at 3DPB.com.